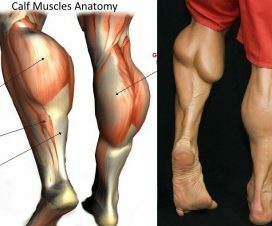 There’s no other muscle group more stubborn to grow than the calves and this can be very frustrating for the average lifter who doesn’t like training his legs anyway – how long can you keep doing something that doesn’t produce any visible results? Just before you call it quits, you should know that your problem could be caused by a few training mistakes that can be easily fixed once you spot them! 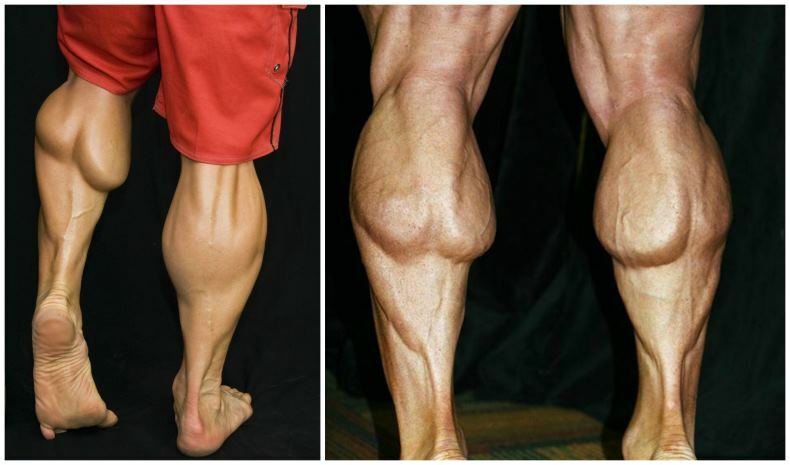 Read this article to understand what you’ve been doing wrong and discover how you can beat your calves into submission and build the powerful legs you want. If you’ve been saving calf work for the end of your leg workouts, your calves probably aren’t receiving enough training stimulus for growth. To really fatigue the muscles and achieve optimal hypertrophy, you need to hit them with the same intensity and focus as you do your quads and hamstrings. Keep in mind that the calves are used to frequent low-intensity work throughout the day, so you won’t get a good training response if you only treat them with a couple of half-assed sets. To make sure they receive enough attention, put them first in your regular leg workout, or, if that’s not enough, add an extra calf day into your split. Many guys are guilty of applying the same set and rep pattern to more body parts, which can be very ineffective and thus limit the gains they make. When it comes to calf training, you need to go out of the conventional rep range to exhaust the muscles and encourage new growth. Get out of your comfort zone – pick a lighter weight and aim for at least 25 reps per set! 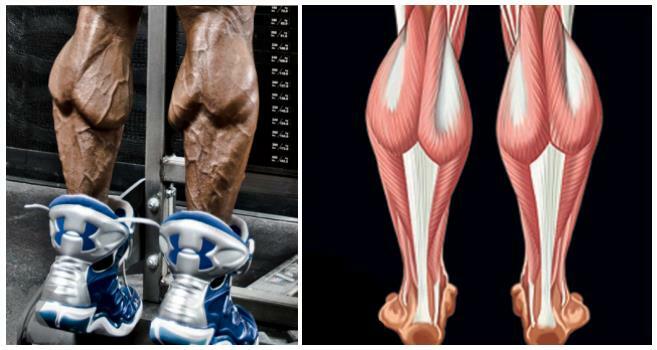 Are you always training your calves in the same way? If yes, then you’re not effectively training all parts of them. Your calves are made up of the gastrocnemius muscle, which represents the inner and outer head of the calf, and the soleus, which runs underneath the gastrocnemius. 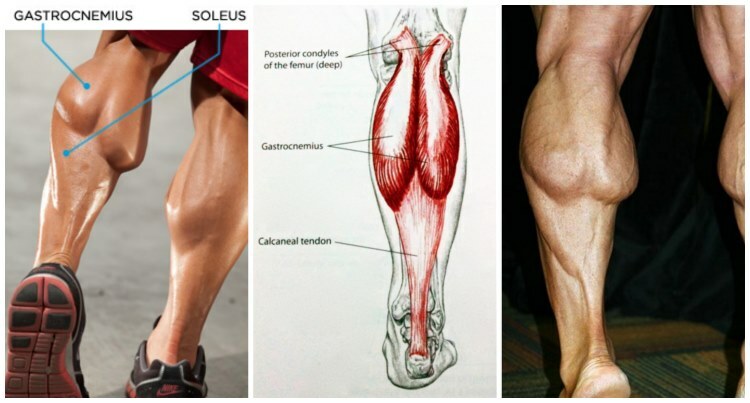 When you perform standing calf exercises, the primary movers are the gastrocnemius muscles, and when you do calf exercises with your knees bent, the soleus muscles take over. Make sure your routine includes exercises that train both the gastrocnemius and soleus muscle, and you’ll quickly notice great improvement. While it’s true that you need to target your calves with heavy weights to stimulate maximum hypertrophy, there is a fine distinction between adequately heavy and too heavy. Using excessive weight won’t promote better gains – instead, it will decrease the muscle-building potential of the movement and increase your risk of injury. How can you know if you’re going too heavy? Check your form. 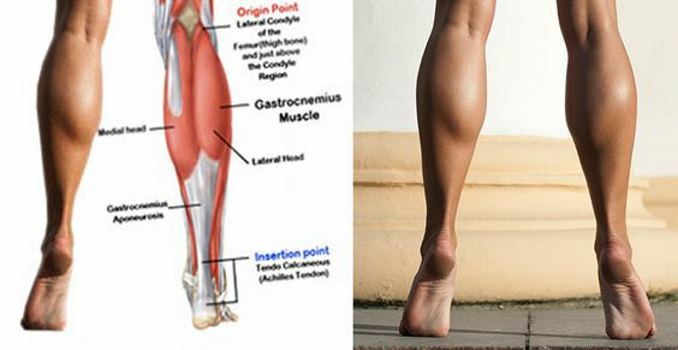 If your ankles are getting out of line with the rest of your leg during any part of the movement, you’re unable to complete each rep with proper form and without needing assistance from the quads, and you often feel pain in the arch of your foot or the Achilles tendon, you’re using too much weight. In this case, your calves won’t get optimal training stimulus while your joints and tendons will receive unnecessary stress, which is really bad news! Form should always come before weight, so reduce the poundage and focus on completing a full range of motion and achieving a full contraction at the top of every rep.